Yep its still hot here. Our fishing has slowed just a bit mostly due to the heat. It seems only the hardy are out there. But the good news we have a good striper run going on. These are mostly in the pan size or great for fish tacos. Now and a gain we are getting a larger one or so. Our local angler Randy Brown and this 6.9 pound line side at 27 and 3/8 inches was brought in by using a lure. He was in the upper big bend area and fishing form a dock. While anchovies are a great bait for our area here on the Colorado river lures are more active, both can produce some big fish. I like the long a bomber or the top water pencil popper is a kick. There are a lot of great lures to try. 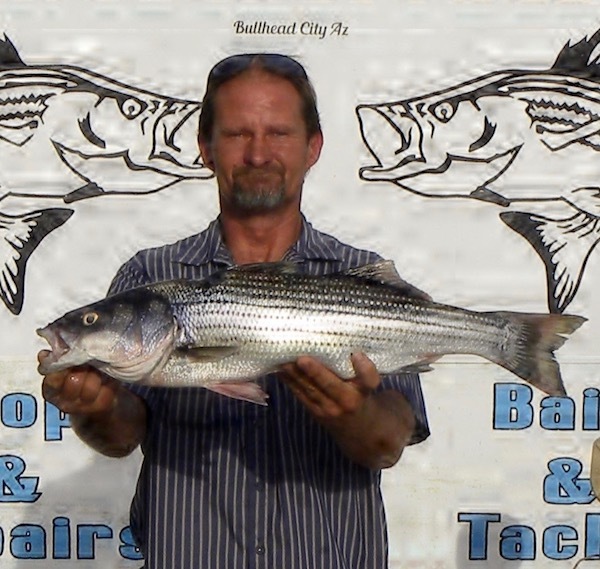 Colorado River - Davis Dam: The Stripers Bite is Doing Well! 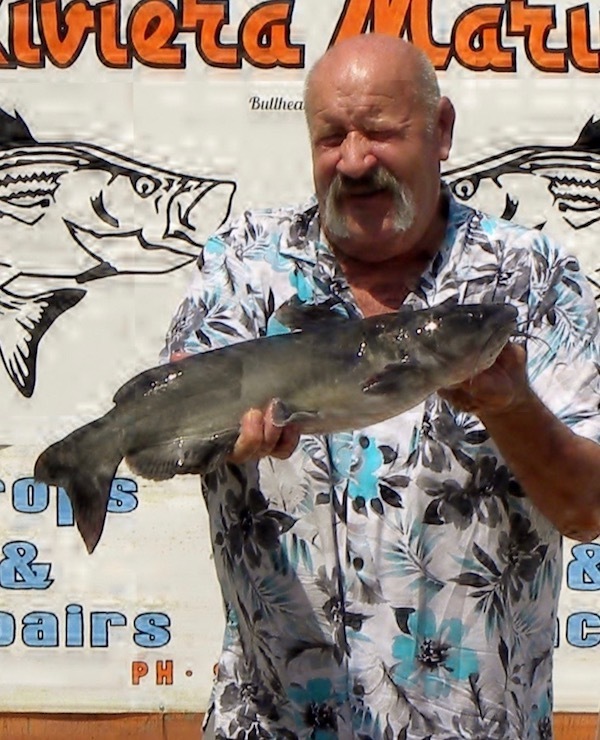 Colorado River - Davis Dam: Below Davis Dam is Producing the Best Catches! 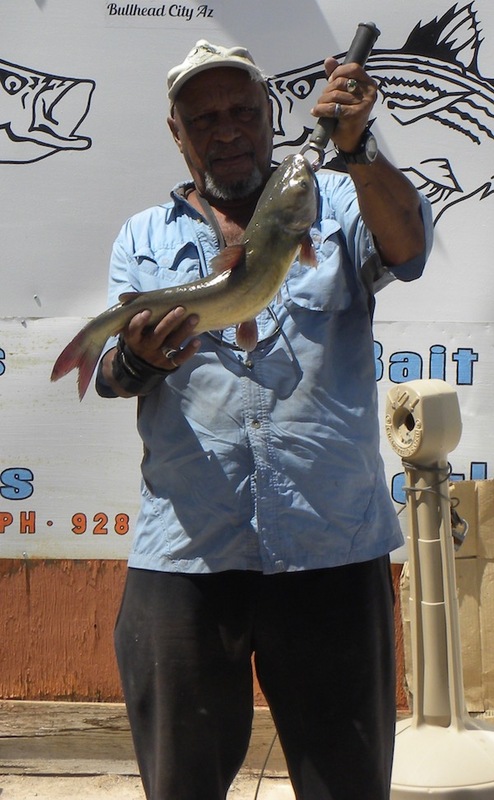 Lake Mohave: Catfish Bite is Doing Ok! Topock Marsh: Go to Spot for Both Largemouth Bass and Channel Cats!